Developed by BLS Systems & distributed through MARTAB MEDICAL is a state of the art non-invasive ventilator support system. Controlled airway pressure provides rapid relief for maximum patient benefit with minimal oxygen consumption. Low cost and completely disposable. Highly efficient for longer cylinder life – runs from 5 Lpm. Maximum Protection – provides filtration on inhalation AND exhalation. Simple operation – adjustable PEEP. 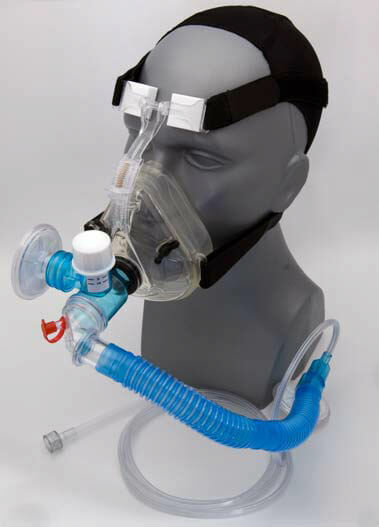 Deliver CPAP with nebulized medications using a single oxygen source. NOW with Nebulizer Takeoff Port to attach nebulizer tubing. Inhalation and Exhalation Filters (3M HEPA). High Quality CPAP Mask with Adjustable Forehead Pads (8700, 8705).